Thank you for visiting our practice website! Dr. Austin Westover and Dr. Mitra Westover are proud to offer a wide variety of dental services at the highest standard of care. We strive to make your experience at Westover Family Dentistry as comfortable and thorough as possible. Our dentists and team have the experience, knowledge, and personality to soothe away any dental anxiety that you may have. We are constantly studying dental research articles and taking continuing education courses so that we may learn about the latest dental upgrades in materials and technology. This enables us to offer our patients the best dental care available in the Winchester area. Preventing dental problems: sealants, fillings, inlays, onlays, gum treatments, pinhole surgery. Restoring smiles: crowns, bridges, dental implants, dentures. Improving aesthetics: teeth whitening, porcelain veneers, orthodontics, Invisalign. Eliminating discomfort: sedation dentistry, TMJ therapy, root canals, extractions. Looking for REAL results? Click here to view before and after photos of actual patients we have treated. Drs. 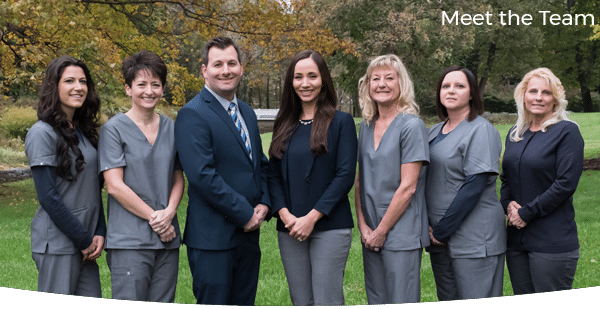 Austin and Mitra Westover are excited to provide you with a brand new dental office in Winchester, VA, “Westover Family Dentistry”. The new office will be built and ready in July 2020 and will be located at the intersection of Meadow Branch Avenue and Amherst St. in downtown Winchester, only a few blocks away from their current location. They are thrilled to provide you with a beautiful and comforting new building, state of the art dental equipment, the highest standard of care, and the same kindness and compassion they have been providing patients in the Winchester area for the past decade. Their current team of assistants and hygienists will be coming with Drs. Austin and Mitra Westover, making the transition for current patients smooth and comfortable. Coming in the Summer of 2020! Take a Look at Models of Our Future Dental Office!